On October 4, 1957, the Soviet Union launched the Sputnik satellite into orbit, and launched humanity into the Space Age. Since then, space has become a very crowded place. Dr. Jonathan McDowell joins us in the FSU Planetarium to reflect on what's been going on in space over the last 60 years. Space is limited. Please visit www.christa.org/fsu-special-events/ for more information. 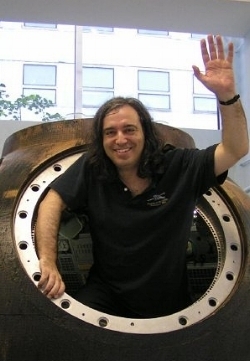 Jonathan McDowell is an astrophysicist working with the Harvard-Smithsonian Center for Astrophysics as part of the Chandra X-Ray Center, which operates the space-based Chandra X-ray Observatory. In addition to his day job, he also studies the history of the space program and produces the email-distributed newsletter Jonathan's Space Report.